Skip the trip to the greeting card aisle & spread more cheer. 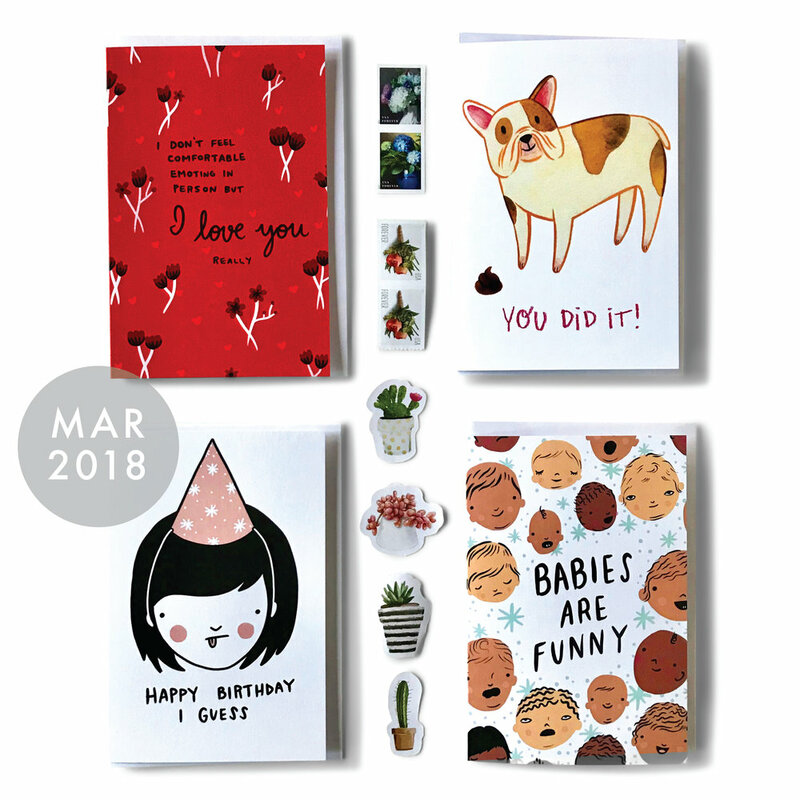 Subscribe to The Snail Mail Subscription Box — Fun, modern stationery, stamps & stickers, delivered monthly. 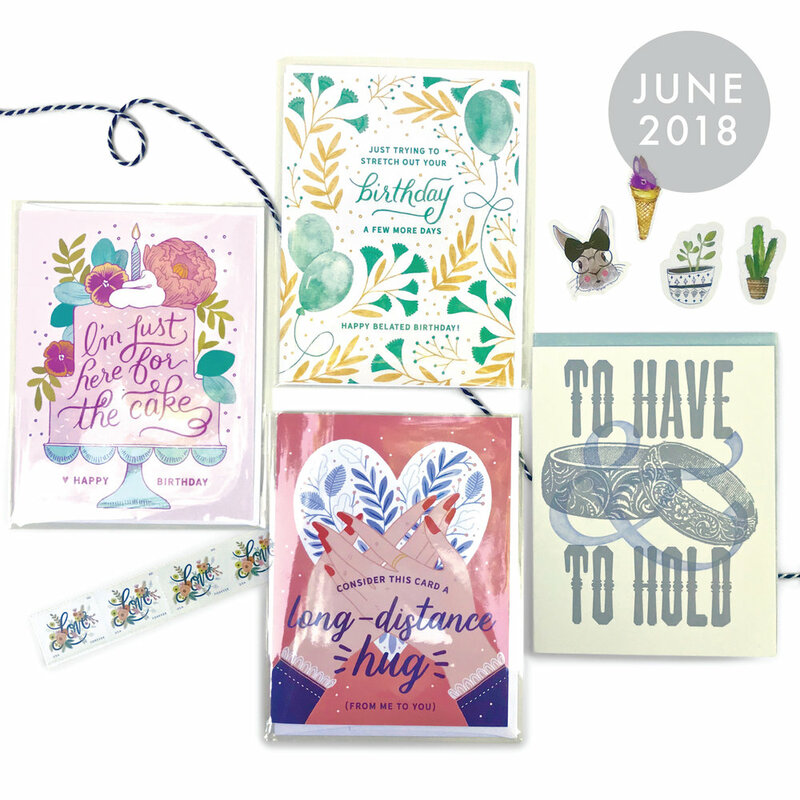 Four assorted greeting cards with matching envelopes. Four USPS Forever stamps, themed to the collection. Four envelope seals (aka stickers), for the finishing touch on your greetings. A peek into the studio and creative process of the artists behind the cards. Free shipping within the US. Just $20/month. 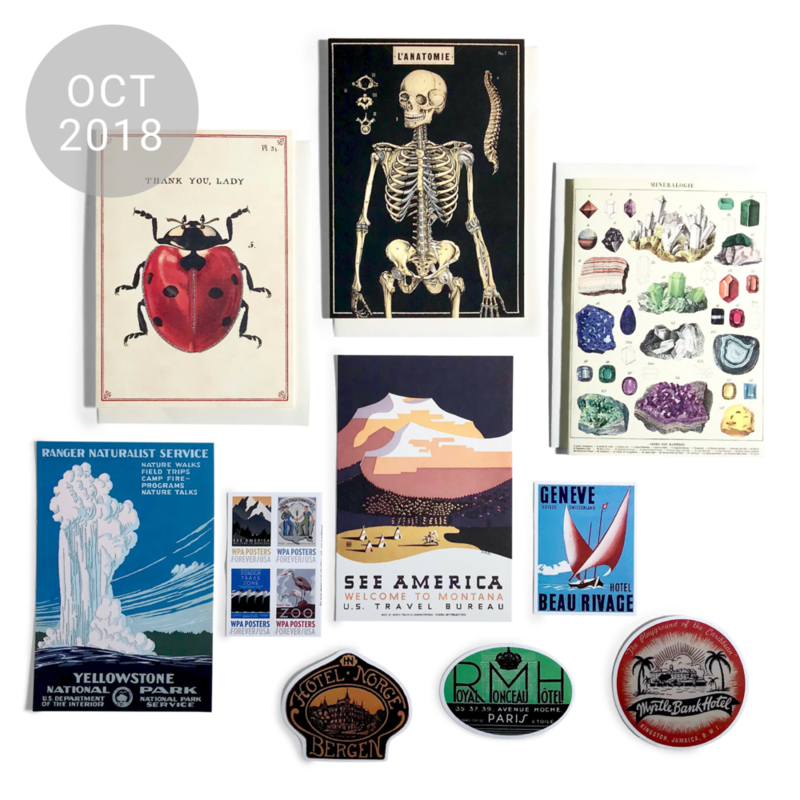 This month we’ve curated two unique collections featuring cards by two of our all-time favorite makers — Cavallini & Co. and Divine Savages. 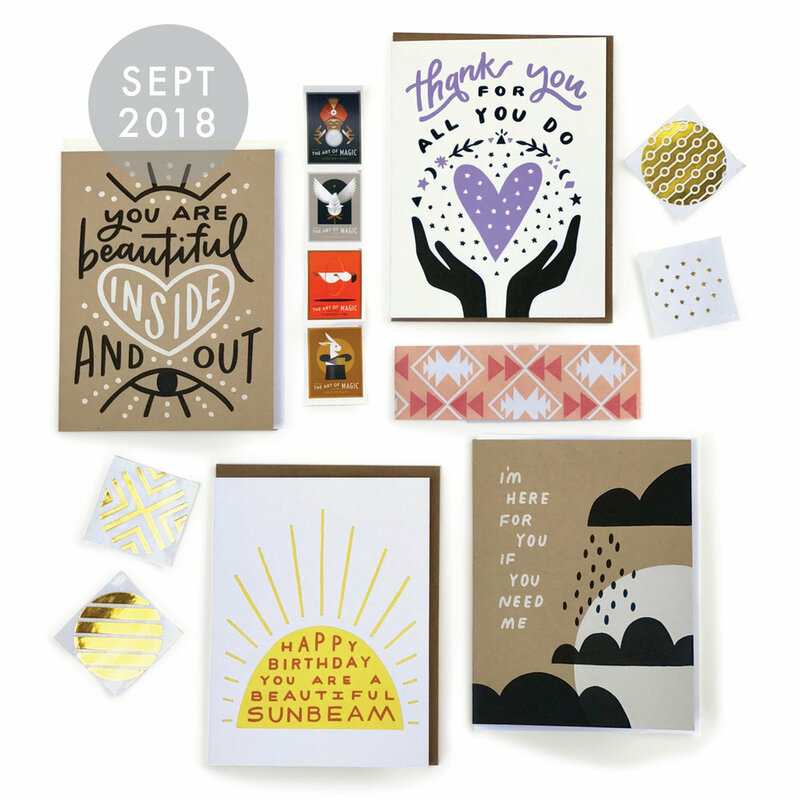 Both makers use gorgeous heavyweight paper and employ an aesthetic that exudes luxury. We noticed some intriguing connections between their designs, and couldn’t help but put together fun pairings! Collection #2 pairs two parrot-themed cards and two sea life-themed cards, and includes kiss-cut lobster stickers and the Birds In Winter stamps. Learn more about Divine Savages • Learn more about Cavallini & Co.
Sign up by the end of the month to get in on our next mailing!